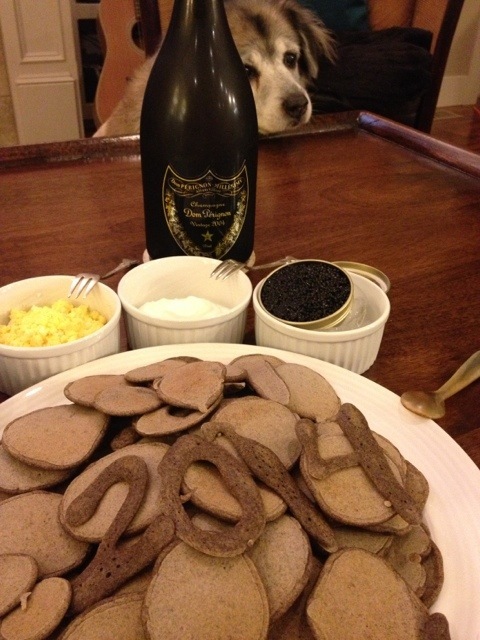 Every year since 1999, J and I have rung in the New Year with our annual tradition of caviar, homemade buckwheat blini and bubbles. (This year, we celebrated with a special bottle of bubbles, a gift from Robb and Dana. Wow!) We remember our families and friends, and toast our good fortune. We are truly grateful. What a fine way to welcome the New Year! C&I wish all of you a very happy and healthy new year. Thank you, Dad! Happy New Year to both of you as well.